Tesla started building Model 3 in the middle of 2017. 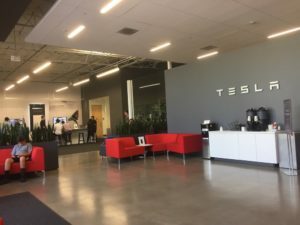 The first Model 3 that rolled out of the Fremont plant in Nevada on July 7th, 2017 was delivered to Tesla CEO Elon Musk, making him the first customer for Model 3. Though Tesla had ambitious plans to build 20,000 cars by the end of December 2017, the company fell short of its expectations, building just 2,685 Model 3s in the first six months of production. July 28th, 2017: The first batch of 30 customers take delivery of Model 3. For North American customers, Tesla Model 3 delivery timelines range from two to four months. Tesla plans to begin deliveries of Model 3 in Europe and Asia during the first half of 2019 (left hand drive countries), while deliveries to right hand drive countries are expected in the middle of 2019. Tesla owns its sales and delivery network. 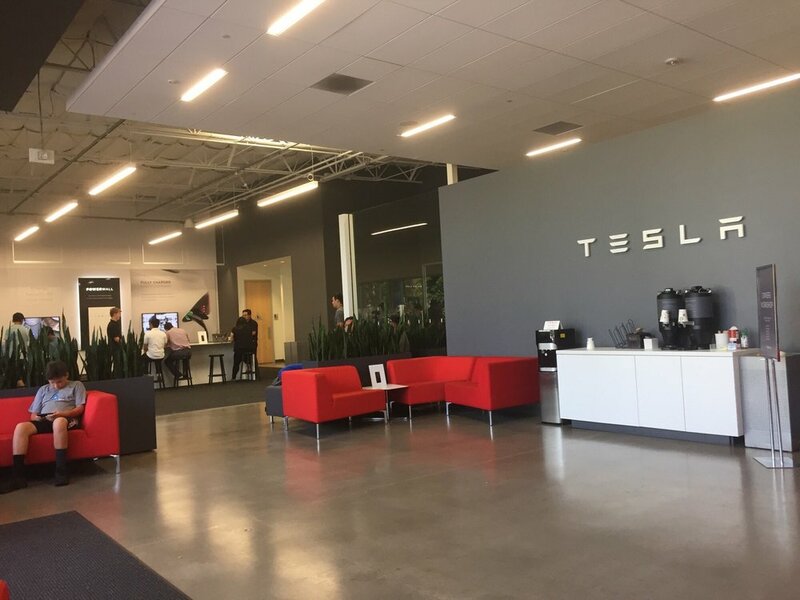 Though Tesla has stores and galleries spread across the United States, the stores are only used to display Tesla products – not for sales and delivery. Tesla opened several delivery centers to help the company deliver cars to its customers. With the introduction of the “Sign and Drive” program, the company has cut delivery time per car to about five minutes. Dealership walkthroughs have been replaced with an email containing video tutorials. 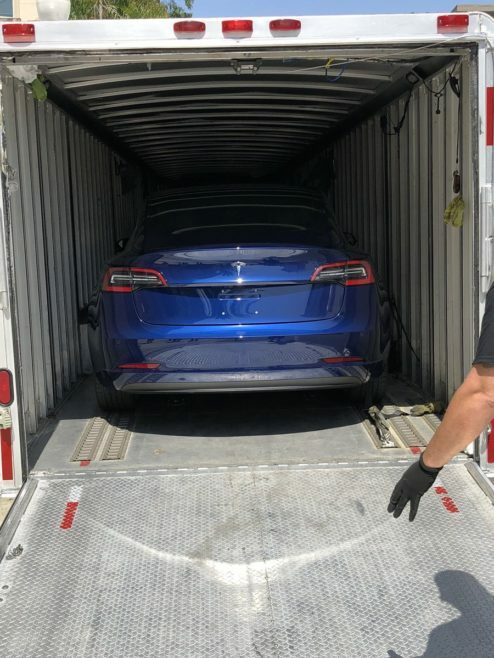 The home delivery system involves driving up to the customer’s house with the Model 3 inside an enclosed trailer. Tesla customers can pick up their car from a service center that is closest to their location. Home delivery of vehicles is offered to customers who live more than 160 miles away from the nearest service center. Tesla requires full payment before shipping the car. Once payment is made, a window for delivery is then provided to the customer. A total of 28,390 Model 3s were delivered to customers until June 30, 2018. 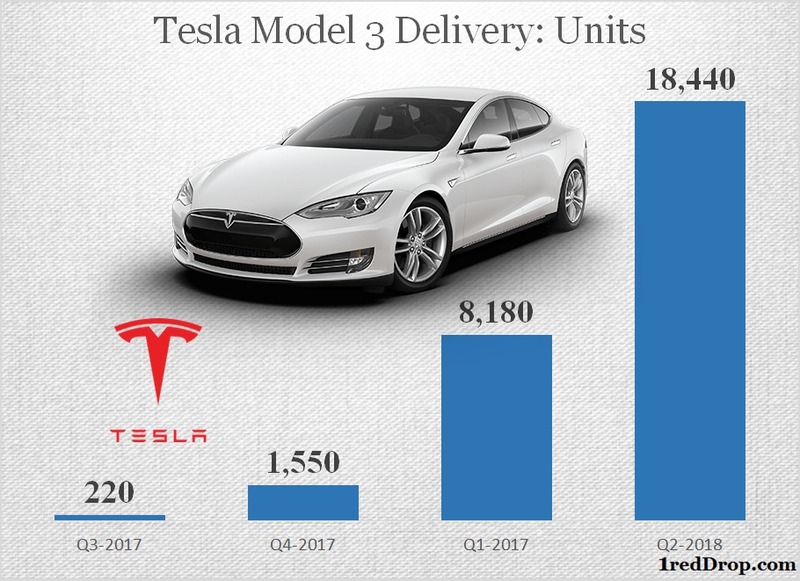 Tesla has guided for producing 50,000 to 55,000 Model 3s during the third quarter ending on September 30, 2018, and expects Model 3 deliveries to outpace production during the quarter.